Co-written by experts Irene Smith and Sharon Burch, this course provides you with a depth of experience and sensitivity for working with the seriously ill. A list of resources for further study, including sources for hands-on training, are included. This course includes 3 hours of communicable disease and meets the requirement of Maryland and most states. It does not teach hands-on skills. I enjoyed the convenience of studying and taking the test at my home. Great course content. It stimulated my interest to further educate in this area!! I work in a hospice setting. The information presented was invaluable to me. Both Sharon's and Irene's open sharing was inspiring and made me proud to be in this profession, doing this work. The factual info was clear and concise and is a wonderful adjunct and resource for me. And reminds me how important it is to refresh what we know and hear it again and again. They are both wonderful role models...they make me strive to be the best I can. Well-informed, well-said information presented with care and compassion. Excellent and informative - very detailed information. I enjoyed reading the case studies. The book is an excellent resource for my practice and will help me teach the basics in massage for the Frail and Elderly to massage students. 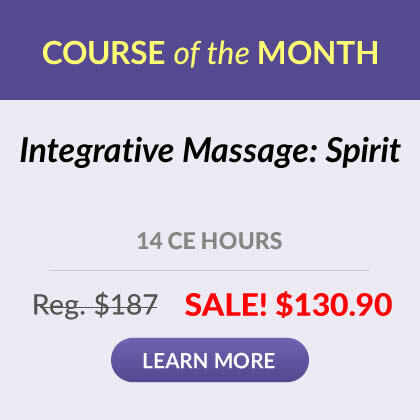 I have been practicing massage for over ten years, and this is one of the best CEU courses I have taken. Interesting and informative course about the key aspects of skilled touch for seriously ill persons. It gives a clear picture and a good walk though. I recommend it for therapists who need help in deciding if this is their calling before they leap. I was taking this course just for the credits, however I learned valuable information and found myself interested in stretching my practice. The materials were interesting and elaborated on what we were taught in Massage Therapy school. I would strongly recommend this course to every practitioner. I have always wanted to work with Hospice patients, but something has held me back. From taking this course I realize that it's my own fear and doubts. I have so much love and compassion to give. I feel stronger emotionally and will persue further training in this field. Thank you! A wonderful educational insight into the power touch holds for severely ill persons. This is a wonderful course. It covers everything from matters of the heart to disease transmission in an easy to grasp, interesting manner. I plan to keep this information on hand because it is such a quality reference. This information gave me a greater understanding of how to work with someone who is ill or emotionally vulnerable. I really enjoyed the course and now want to go on to train hands-on in this area. The course was very informative and yet still connected me to my heart. I felt the information was very informative and caused me to evaluate how I am currently performing in my massage practice. I appreciate the candor and openness of the personal experiences of the writers and educators. It helped me see how important it is to have a professional support system. I felt it was outstanding and I wish to thank all responsible for enlightening me further. This was an excellent course, because it really seemed to come from the wisdom of the authors and their extensive background in actual hands-on work. This course was very interesting. I learned so much that I know I will be able to use it wherever I go. This was very informative and I think I will extend my education and service to the seriously ill client. This course was extremely informative and is a course I will be able to take advantage of in my practice. Sherry Lewis LMBT, NCTMB Healing Touch Massage - Glenville, NC. Well done - impressed with the insights into care & needs of terminally ill; as well as care givers working with this population. Very helpful, liked the research references. Teresa L. Janz LMT, BSN, Masters Ed. It was beyond my expectations of what it sounded like in the description. Very inforamtive, a must take for anyone considering working in a hospital or hospice facility. The materials were very informative. I learned many new facts. This was a really helpful course for me. I have thought a lot about working with seriously ill people and have been told that it is a challenge that I may not be able to handle. I appreciate the author's openness and detail of her experiences. I am now better informed of the realities as the course has given me much food for thought. I work in a nursing home. This education will allow me to help my residents more. I felt this was one of the clearest and most informative courses I have yet to take. There were only a few places in which I needed to re read the information...and that was probably my own lack of concentration at the moment. Thank you for a very informative and interesting course. It was a great introduction to this fascinating area of medical need. Wonderful course. Great intro material on caring for the ill with sound reminders on ethics and practice standards. Loved the personal presentations in this course. I like the straight-forward content. The information clarifies the reality of working with seriously ill clients, including emotional challenges, the environment, responsibilities and the importance of boundaries. This course was all I had hoped for and more! It was very interesting, informative and educational. Thank you for offering it! Very interesting and informative! Thank you for sharing your expertise. The information was interesting and useful. Good review for infectious diseases and valuable new information for a better understanding of caring for the seriously ill. I especially valued the authors emphasis on being "centered" and "grounded" while working with clients. It was a wonderful reminder on how important it is to be aware of my own feelings and fears, so that I can be more compassionately present. This course was easy to understand and very helpful in my ongoing practice. This has inspired me to do my own workshop after my journey with my mother's Alzheimer's. In some ways I wish I had read this beforehand, but then again, reading it afterward reaffirmed much of what I dealt with and learned. Thanks so much. I thought this course was very informative. Great course! Easy to follow instructions and a great way to complete ceu classes from the comfort of you own home at your own pace. Will be very helpful when working with elderly clients. This class was very informative and helpful in my practice as I am asked to attend to more and more people in medical settings. I thought the HIV/AIDS information was particularly clear, concise and helpful. Thank you for the opportunity to take this class. The course was very interesting and most exceptional is the information on HIV/AIDS and related terminal illnesses. 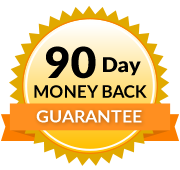 Information that I have not received in the HIV/AIDS courses for re-certification is presented with astounding exactness and clarity. I love the courses I have taken and always learn new ways to improve my practice and there fore my clients overall expirences. Even though I have been practicing for 15 years, I learned much from this course. Excellent course! Thank you! It is a good overall picture of what to expect when working with the seriously ill. I am very pleased with these courses. They provide a wide array of subject matter. I always enjoy the educational information I receive from these courses. If I don't use the info directly in my practice, it is still a benefit to be able to discuss topics intelligently with others. Touch for the Seriously Ill is the best distance continuing education course I have ever taken in my 20+ years as a therapist. The content is relevant, interesting, useful and personal. There was a bit too much on HIV/Aids education and treatment, but the overall emphasis on learning to approach, understand and cope with serious illness is excellent. Great job, and well worth purchasing the printed materials, which I expect to refer to and even share with my clients. Thank you for injecting new energy into a field that can be very draining! This course has real insight about working with the seriously ill. I feel it does a good job of balancing scientific knowledge and personal experience to deliver substantial and reliable information. Course was much more informative than I expected and provided excellent refresher material that I had forgotten. I was truly impressed with the people/resources that were utilized in preparing this course. Thank you for providing the convenience and information on a subject dear o my heart. I do volunteer work with Hospice and will recommend it to all Hospice Massage Therapists. I greatly appreciated this course; content,presentation,relevance,research and references were all useful. It was also an excellent reminder of the importance of being present with ourselves an our clients. This course was really interesting and important to me since I look after my husband who is not well in many ways. It reminded me to take more care and patience in how I communicate with him which can be difficult since he is very hard of hearing. Sharon and Irene are both so inspiring with their work and I appreciate their sharing so much to help all of us who are massage therapists. This was the most informative class I've yet taken. Well done. I thought this was a great course. Also had great references which I looked up. Very happy with this course. Fantastic! As someone who has been working with Hospice patients and families, this was a wonderful encouragement and refresher. Have already recommended to my colleages. I was pleasantly surprised by the material content. Thanks again. I will be back! I learned a lot which makes me more comfortable in my practice of touching and visiting those who are seriously ill. I enjoyed this course very much. I work with elderly and ill people a fair amount and found this interesting and helpful. Very in depth. Good reading. Much learning and reinforcement. This was a very valuable course not only for my practice but also helping with elderly family and friends. Excellent course! Easy to follow and understand and covered a variety of topics. I appreciate the format in which the information is presented. I also appreciate the supplemental information, references, websites,etc., which are included. I highly recommend these courses to others. Touch for the Seriously Ill is an excellent course. I have several years experience in this work, and it both confirmed many of my own thoughts and experiences and gave me additional new perspectives on the work. I enjoyed personal case studies. It helped make the text more relevant. Thank you for this course. This is very helpful. Beautifully presented. Very insightful course. Quick shipping. Nice, easy to read materials. Appreciate reference section. Easy online testing. Thank you! I work in a hospital setting, as well as having my own practice. In the hospital setting many of the patients are seriously ill. I gained new knowledge and understanding for this setting. This course was wonderful. I found the insights of the writer more effective than the "data" of the course. I have been Nationally Certified since 2000 and I found their insights fabulous. Well written/presented. Good reminders at times for those of us who work with seriously ill patients all the time. Describe the essential intentions of giving massage or bodywork to seriously ill persons. Identify the CDC Standard Precautions and their application to massage or bodywork practice. Identify how the authors created a healing environment that met the needs of their clients and themselves. Identify how to prepare for massage therapy or bodywork in the hospital and home care environments, including what items you will need. Define “Comforting Touch” as it’s used in this course, and recognize an example of it in practice. Identify the important contraindications for working with seriously ill people. Identify the common ethical dilemmas that occur when working with people in illness care settings. Define “ethical dissonance” and list the strategies to help you reduce or cope with it. Identify why a mentor and a support system are essential for working in an illness care environment. Describe how to respond appropriately when you feel overwhelmed by the client’s needs and/or overwhelmed by your own feelings. List important characteristics of HIV infection including its prevalence, stages, transmission, and prevention. Define “opportunistic infection” and recognize examples of it. List the most vulnerable areas for bedsores or decubiti in bedridden persons, and the best therapeutic actions for them. Describe how to say goodbye and cope with the death of a client.